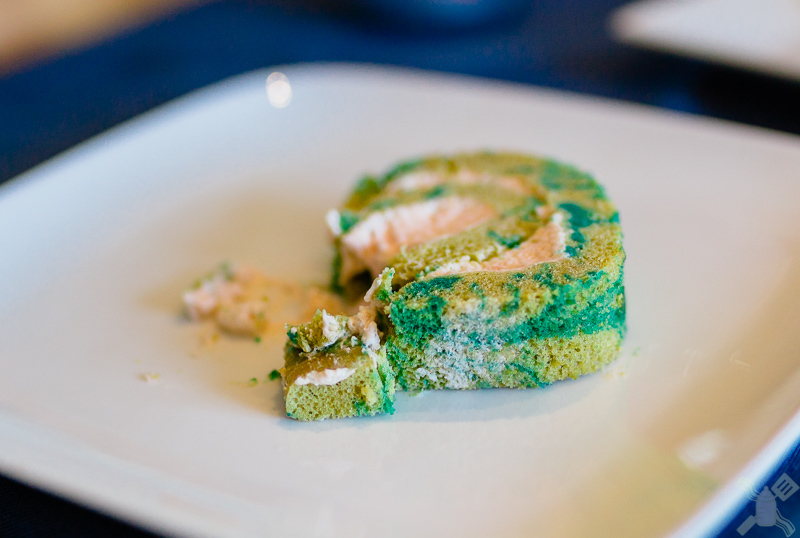 A long time planning and coming up with the perfect recipe for a matcha swiss roll and I finally found it. The bitterness of the matcha with the sweet strawberry mousse makes this the perfect dessert. It is the last week of July already! My calendar is all marked off, I can’t believe that this month has gone by so fast! And in just a few short weeks, I will be the mom of a 1 year old. They tell you that it goes by fast, but this was much quicker than I expected. I’ve been thinking about what I want to make for his smash cake, which got me thinking of all of the cakes that I’ve made. I want to share my favorite one with you! The one that I made for my friend for her birthday last month. If you didn’t know, I am a huge matcha fan. You probably know from the Matcha Cream Puffs that I made at the beginning of the year. I will go out of my way to try any and every dessert that has matcha in it. I’m drinking a matcha tea latte right now, as I type this. 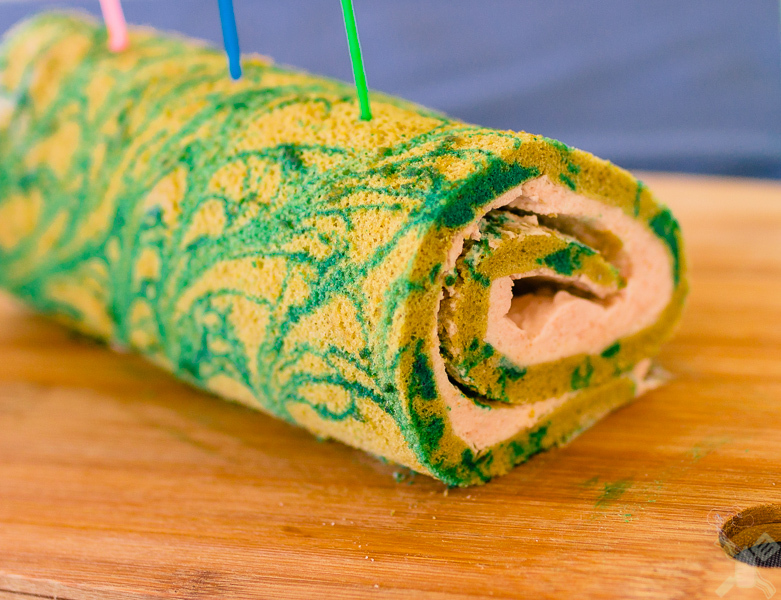 I told Gareth it was for research, since I am giving you guys a Matcha Swiss Roll with Strawberry cream. I scoured the internet for a recipe that would give me the flavors that I wanted. I found a few that I experimented with and were close, but none of them were it. I wanted this cake to be perfect for my friend, who is also a huge matcha fan. I finally sat down one night and came up with the perfect matcha sponge and a strawberry mousse that was so good, I purposefully made extra to have with chocolate. I made a test swiss roll, just to make sure that it had the flavors that I wanted. I had won the Matcha Olympics. When my friends came over for her birthday, the cake was a hit. Even Gareth ate it! There was not even a single piece left at the end of the night. So, for you my friends. 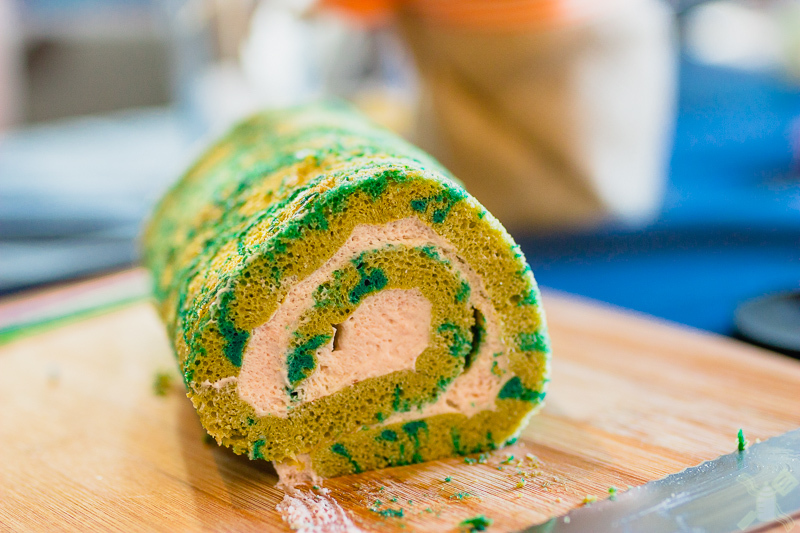 The perfect Matcha Swiss Roll. Slowly fold in egg whites, I added it in fourths. Roll it back into a tight roll, cover in plastic, and allow the mousse to set for at least 4 hours in the fridge. We are going to England in a couple of weeks! What are your go to travel accessories? I’m excited, because Norwich is one of my favorite places in the world, but terrified, because I have never traveled that long with a one year old. If you want more amazing recipes like this, throw your email into the subscription box! On Wednesday, I’m going to give you a little look into my life and my favorite caffeine products, IE coffee and tea! It should be stimulating!